A government-appointed panel reviewing the Central Provident Fund (CPF) is expected to recommend allowing people to make one partial lump sum withdrawal from their retirement account at age 65. It will also ask the Government to allow those who want to put in more savings for retirement in order to enjoy higher monthly payouts later to do so. While the panel will not call for the Minimum Sum to be adjusted upwards, it pointed out that the amount members must leave in the CPF at age 55 will continue to rise. This is because savings for retirement need to keep pace with rising prices and standards of living so that payouts are adequate, panel chief Tan Chorh Chuan said at a media briefing last Friday. "But the rate at which it will go up will not be as high as what we've seen in the preceding 10 years," he said. Giving a preview of recommendations it will be submitting to the Government this week, Professor Tan said his team had three main factors to consider - adequacy of savings for retirement, flexibility of withdrawing the savings and whether it would be simple enough for people to understand. "The (whole CPF) system really is not very easy to understand," he said. CPF members must meet a Minimum Sum when they turn 55. This amount is locked away until they turn 65, when they start receiving monthly payouts. The first set of recommendations from the panel will focus on the Minimum Sum and lump sum withdrawals. The panel is not expecting the Minimum Sum to stay at $161,000 - the amount set for those turning 55 from July this year. It will have to go up to adjust for inflation, and he hopes the Government will use longer-term inflation rates to reduce short-term fluctuations, so that people will know earlier what their Minimum Sum will be, and plan for it. Prof Tan also revealed that the panel will ask the Government to allow people to top up their CPF savings beyond the Minimum Sum in order to enjoy higher payouts. "It's an option to put in more money if you want to. But if you don't want to, you don't have to." Some have called for flexibility to withdraw more from their retirement accounts. 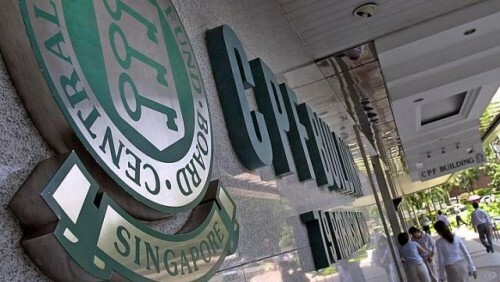 The panel is in favour of allowing CPF members to withdraw a lump sum of about 20 per cent of their retirement savings at age 65, even if they do not meet the Minimum Sum at age 55. Prime Minister Lee Hsien Loong suggested that 20 per cent withdrawal cap at last year's National Day Rally when he said the Government was considering whether to allow CPF members to make lump sum withdrawals when they retire. The panel also has suggestions on ways to help CPF members who do not meet the Minimum Sum, as well as freelance workers and housewives with lower CPF savings. Prof Tan thanked the 400-odd Singaporeans who attended 10 focus group discussions as well as bodies such as the National Trades Union Congress and Singapore Actuarial Society for giving their views. The 13-member panel was formed last September to review aspects of the CPF system, such as the Minimum Sum, withdrawals, payouts and boosting returns. He is confident the Government would "seriously consider" all of the panel's recommendations. A second set of recommendations on CPF payouts and returns will be submitted to the Government in the middle of the year, he said.